The ICC World Cup 2015 is over and it is that time again where everyone comes out with their best XI comprising the top performing players of the World Cup. Martin Guptill, AB De Villiers, Kumar Sangakkara, Mitchell Starc, Trent Boult are the favourites that have featured in every World Cup Best XI out there. Surely we would have picked them too, but we felt that their were some performers that were better than them. So here it is. 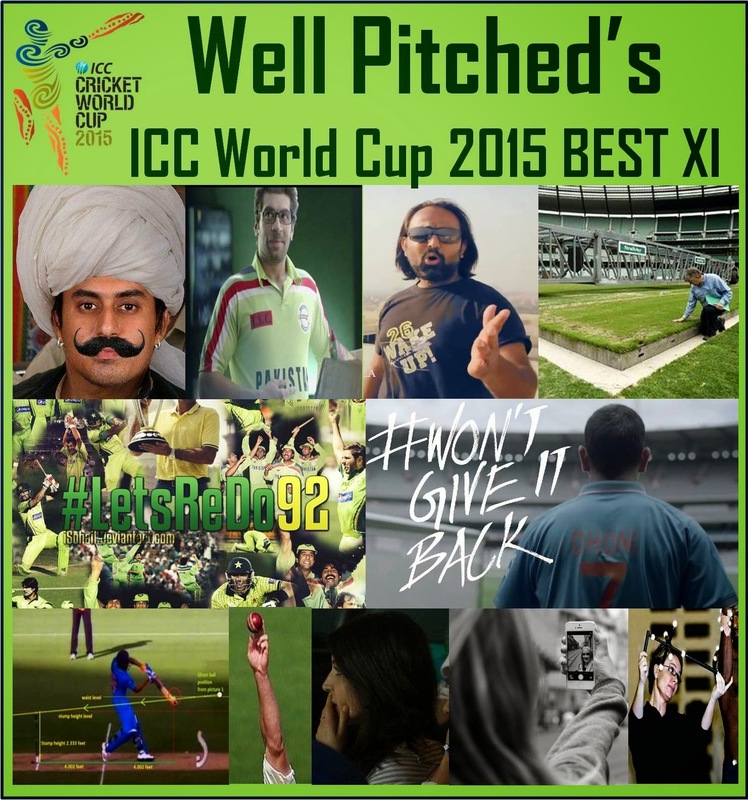 Our Best XI of the ICC World Cup 2015. Matin Guptill and Shikhar Dhawan were undoubtedly the best openers in the World Cup. They collectively scored almost a 1,000 runs and both of them knocked two centuries each. But there was one batsman who did better than both of them. Big NAS tweeted over a 1,000 runs single handedly and more than half of those runs came with a tweet that was easily hit out of the park. He was undoubtedly the most in form batsman throughout the World Cup. Big NAS will open the batting for our World Cup Best XI. The Star Sports #mauka ad campaign was such a huge hit during the World Cup that the man in the ad became the most popular household name during the tournament. While Sarfraz, Sangakkara, Dhawan, Boult, Guptill, and ABD all had two Man of the Match Awards each during this World Cup, the Mauka Mauka Man produced a match winning performance in every single ad that came out during the World Cup. That's about 8-9 man of the match awards alone. We could not deny him the opportunity to open alongside Big NAS in our World Cup Best XI. For every #mauka ad released by Star Sports there was an equally powerful spoof released by Pakistani fans. While there were various contenders for our number 3 batsman, we put our faith in the one who hit last and who hit hardest with Ponka Ponka. For every opener like Amla, Guptill, Dhawan, Warner, Dilshan there is an equally effective one down batsman in Faf, Williamson, Kohli, Smith, and Sangakkara. Similarly we believe that the best man to come at one down in our World Cup Best XI is the man behind Ponka Ponka, equally effective as our Mauka Mauka Man. #LetsRedo trended all over social media in the build up to and throughout the World Cup. Similarities from the birthplace of Pakistan's captain to the prime minister of the country were used to state that this would be Pakistan's World Cup. Sangakkara hit 4 centuries in this World Cup, while there were 5 other batsmen who hit two each. Overall there were 38 centuries scored in this world cup, which was more centuries than in any other World Cup. #LetsRedo92 alone came up with more similarities than 38 during this tournament. I reckon the number was double but it was probably close to a 100, challenging Sachin's international record of 100 centuries across formats. Any batsman that can challenge Sachin Tendulkar's record is worth his weight in gold and hence the inventor of #LetsRedo92 is the one for the all important number 4 position in our batting line up. Gone are the days when batting in Australia was a challenge. 300 was regularly scored during the World Cup. 300 was also chased. There were 3 scores of over 400. 38 centuries were scored, which included 2 double centuries. 463 sixes were hit during the tournament. No other World Cup has seen such dominance with the bat. There was only one man behind all these batting wonders - the Drop-In Pitch Doctor, who ensured batsman friendly pitches and a feast of runs. Anyone who can ensure such a feast with the bat cannot be left out of any batting order and he finds a spot at number 5 in our World Cup Best XI. Ahmed Shehzad is popularly known as selfie. In the build up to this World Cup the internet was abuzz with various Shehzad and Afridi selfies. 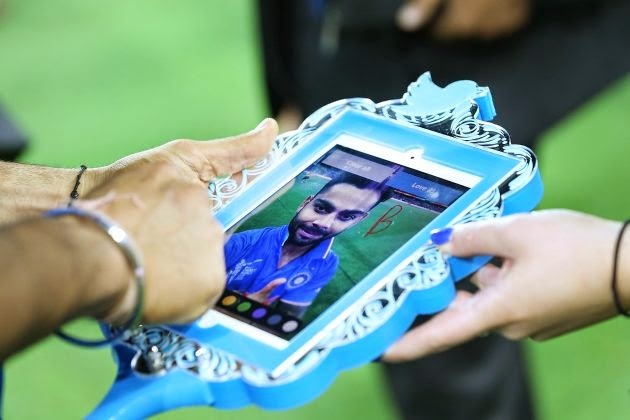 They made selfies such a craze that the ICC decided that every Man of the Match during the course of the tournament will post for a selfie in their Twitter Mirror. There were 463 sixes hit during the World Cup. Gayle alone hit 25 of those, while ABD hit 21. The number of selfies clicked in this World Cup was more than the sixes hit by Gayle and ABD combined! Such a hard hitter is a must have in our World Cup Best XI and the number 6 spot is his. 7. The Man who cried "That wasn't a No Ball"
Only one decision came in between Bangladesh winning the World Cup and getting knocked out in the Quarterfinals. The No Ball that wasn't! Everyone including the ICC President cried foul and maintained that the No Ball that wasn't is what caused Bangladesh's defeat in the Quarterfinal. We are sure that it wasn't a no ball but the man who cried most and maintained that Bangladesh would have gone on to win the World Cup if wasn't given a no ball stumped more people than Brad Haddin, MS Dhoni, and Luke Ronchi combined. The man who cried "that wasn't a no ball" will be the wicketkeeper of our Best XI. There were several single handed performances that took teams to victory in games during the World Cup. Wahab Riaz vs Zimbabwe, Trent Boult vs Australia, Tim Southee vs England to name a few. But none of these bowlers manage to bowl anyone over the way Anushka Sharma did. She was so effective that she was considered the main reason Australia qualified for the Final of the World Cup. She made only one appearance in the World Cup and that was enough to shatter the dreams of a billion people around the world. She will be our team's main strike bowler and due to her ability to hit big blows with the bat she is the best option for number 8. We can't have a complete XI without a spinner in the team. Daniel Vettori and Imran Tahir were the most successful spinners in the World Cup, while Ashwin also fared well. A slow left armer, a leg spinner, and an off spinner - they don't come in more variety than these three but the one who performed better than all these three was the one who was responsible for taking out varieties from the art of spin bowling. The Biomechanics Expert ensured that the likes of Saeed Ajmal, Sunil Narine, and Mohammad Hafeez take no part in this World Cup. He spinned out more batsmen than Vettori, Tahir, and Ashwin combined; hence we had no choice but to include him in our World Cup Best XI as our lone spinner. Mitchell Starc and Trent Boult were the leading wicket takers in the World Cup. Mitchell Johnson showed in the semi final and final why he is arguably the best fast bowler in the world. Wahab's one spell against Australia resulted in an entire country wanting him to be the next captain of Pakistan. James Faulkner was the man of the match of the World Cup Final. The one thing common among these bowlers is their left arm, which produced magically unplayable deliveries for batsmen. Ask Shane Watson. We could not pick any single one so we just went for The Left Arm to open the bowling for our World Cup Best XI alongside Anushka Sharma. Anyone who does not succumb to the charm of Ms. Sharma will surely fall prey to the left arm. Defending champions India did not want to give the World Cup back. Their entire campaign was based on #wontgiveitback. TV ads, social media posts, public statements, memes, everything came with #wontgiveitback. It was the Indian equivalent of Pakistan's #LetsRedo92. While Anushka Sharma and The Left Arm will attack with the new ball, we believe the man behind #wontgiveitback is the best option as third seamer given his ability to rile up the entire world with one hashtag. That was an interesting read. But frankly, coming to the crux of it, my team would have Brendon McCullum, ABD, Guptil, M Stark, Trent Boult, and Tim Southee.